Don’t wait, registration closes April 9th! 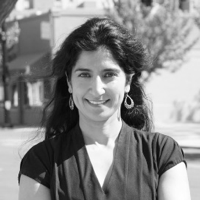 In addition to being a partner at Civil Rights Solutions, Renita Thukral serves as the Sr. National Legal Advisor at the National Alliance for Public Charter Schools. In these roles, she leads and grows a national network of charter school attorneys known as “The Alliance of Public Charter School Attorneys”; provides technical assistance and training to charter school operators, authorizers, attorneys and advocates seeking to improve school-level civil rights policies and practices; addresses fiscal equity and labor issues confronting charter schools; provides litigation and strategic assistance to state partners considering litigation; and supports charter school advocates and operators seeking to improve their regulatory and authorizing environments. Prior to this work, she served as the Policy Director at the Louisiana Association of Public Charter Schools and the Director of Policy and Advocacy at New Schools for New Orleans. Renita earned her B.A. from Stanford University and her J.D. from Yale Law School. She taught junior high school math in Los Altos, California, before attending law school, and she served as a public defender for over six years in New York City before joining the charter school community. 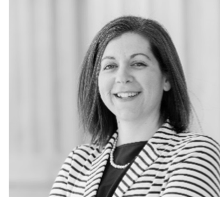 In addition to being a partner at Civil Rights Solutions, Lauren Baum is an attorney in private practice in Washington, DC, representing charter schools in DC and Maryland. In these roles, Lauren advises charter schools on a variety of civil rights issues, including but not limited to issues related to students with disabilities, English Language learners, bullying/harassment, student discipline, single gender schools and other Title IX issues, enrollment, weighted lotteries and other access and equity challenges. Since 2008, Lauren has represented over 30 charter schools in the District of Columbia and Maryland. Lauren also has led multiple trainings and presentations to members of the charter school community across the country on civil rights issues. Lauren received her undergraduate degrees from the University of Texas and her J.D. from Washington College of Law. An Idaho attorney, Chris Yorgason’s practice focuses on municipal government, education, charter schools, real estate and general business. Chris attended Brigham Young University where he graduated in 1995 with a double major in political science and finance, with an international emphasis. In 1998, Chris graduated from the J. Reuben Clark Law School at Brigham Young University, where he was a member of the Moot Court Board of Advocates and a member of the team that competed in the Willem Vis International Moot Arbitration competition in Vienna, Austria. During law school, he externed with the Honorable Larry M. Boyle (US Federal District Court of Idaho) and after law school he clerked for the Honorable D. Duff McKee (Ada County Fourth Judicial District). Chris is a member of the Idaho Bar Association and its Government, Real Estate and Alternative Dispute Resolution sections. He is admitted to practice before all state and federal courts in Idaho. Chris has served as a member of the board of directors of the Congressional Award Council of Idaho and Serve Idaho, the Governor’s Commission on Service and Volunteerism. 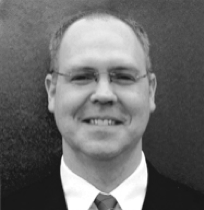 He is currently serving as a board member of the Cantus Youth Choirs and is the president of the Idaho Mediation Association. 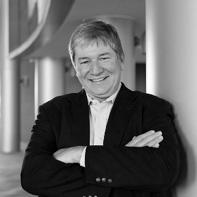 Terry Ryan is CEO of Bluum and Board Chair of the Idaho Charter School Network. Ryan is responsible for leading Idaho’s effort to double the number of students in Idaho high-performing public charter schools. Ryan leads Idaho’s federal Charter School Program (CSP) grant of $17.1 million. Ryan served as Vice-President for Ohio Programs and Policy at the Thomas B. Fordham Institute for twelve years from 2001 to 2013. He began his career in education as a teacher in Poland and worked with the Polish Ministry of Education and the Foundation for Education for Democracy on education policy and civic education. In the 1990s, he served as research director for the UK-based 21st Century Learning Initiative. He is a member of the National Alliance for Public Charter Schools Policy Advisory Council, and served as a Commissioner for the CAEP Commission on Standards and Performance. He has co-authored two books on education. Ohio’s Education Reform Challenges: Lessons from the Frontlines with Chester E. Finn, Jr. and Michael Lafferty of (Palgrave Macmillan, 2010), and The Unfinished Revolution with John Abbott (ASCD Press, 2000).